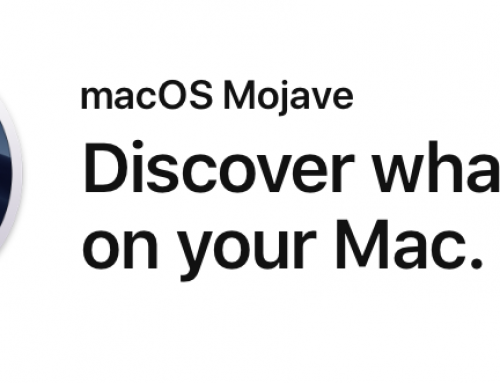 Sauce Labs have recently released a free Mac App which allows you to use their online website testing platform via a desktop Mac App, rather than the usual method of via a browser. The Mac App can be downloaded for free via saucelabs.com/mac / or iTunes / or the Mac App Store. I now have this App installed and as I already had a free Sauce Labs account, I logged in with my account info. 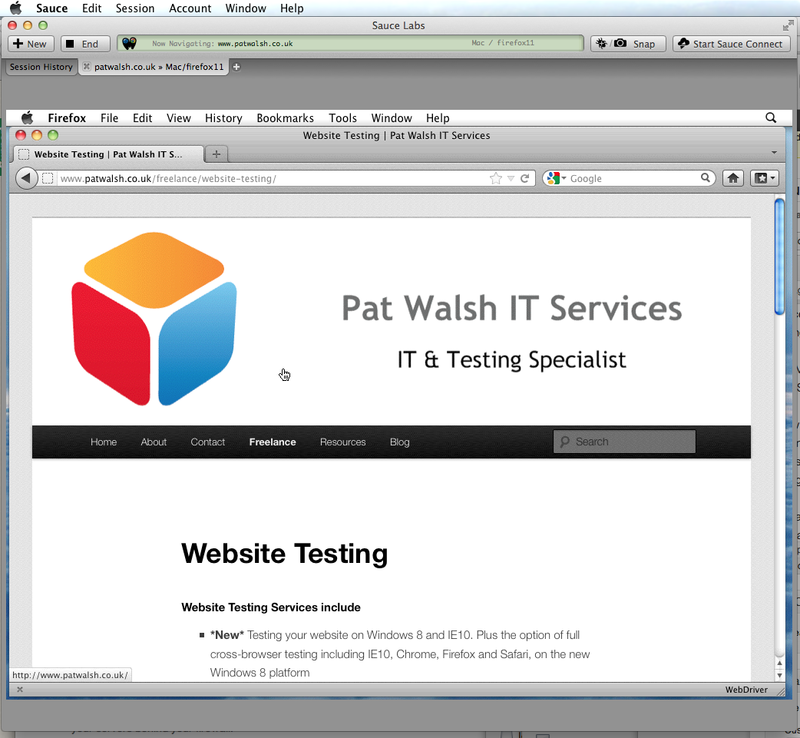 For a quick demo, I chose my own site’s URL www.patwalsh.co.uk and selected OSX / Firefox 11 as the OS / Browser combination to test on, then hit the Navigate button. At that point Sauce then starts up a private, virtual machine with the selected setup and displays it inside the Sauce App window, as shown in the screenshot below. To setup a Snapshot, you just press the Snap button and Sauce will then save a snapshot of your session. To end a Session, you can just press the End button. You will then be shown the list of Previous Sessions. If you click one of these, you’re then taken to the Sauce Labs website (which seems a bit odd, as you’re currently in the Mac App) from where you can view all the details of the Test Session and also view Screenshots and Video of the Test Session – very useful when trying to work out how you found that bug you can’t reproduce. 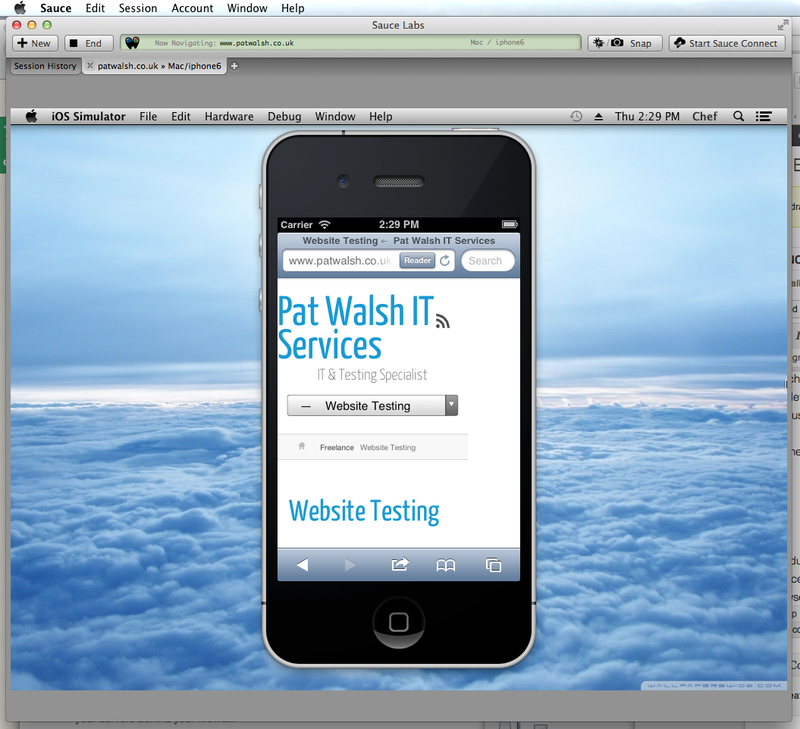 The next Test Session I created was then iOS 6, with screenshot shown below. Its pretty cool that this all works (mostly) within a Mac App and I’m sure the peeps at Sauce Labs will add to the App over time. 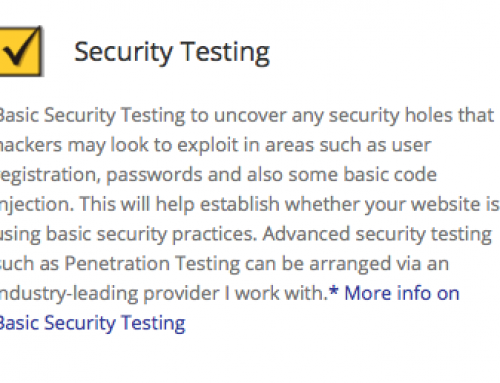 As a freelance website tester these kind of tools are invaluable.